When their relationship breaks down married couples will often decide to separate but may be unwilling to divorce. This might be for religious reasons, because they are concerned about the impact on their children or simply because they are not emotionally ready to take such a large step. For others divorce will be a clear option and their first concern will be to establish whether they have grounds to divorce. It is important to consider what you are trying to accomplish before assuming you should just go ahead and issue divorce proceedings. There are some circumstances where divorce cannot be delayed whether or not there is agreement and safety must always be a paramount consideration. But a divorce is a big deal and it can be emotionally draining. If one of you is not ready for a divorce to start then this may cause significant problems. It may be that in some circumstances a conversation between you over the options of divorcing now or later will take the emotional pressure off and allow a practical conversation to take place over financial arrangements and care of your children. Emotions aside you can then make decisions on what is best in all of the circumstances and how you can reach solutions – whether that includes separating and recoding the agreement of your separation or getting divorced and dealing with a division of finances now rather than in the future. Formalising the separation – why bother? A separation agreement sets out the terms of your separation, recording who will start divorce proceedings in the future, how the finances will be divided now and into the future, who will be responsible for repayment of any debts, what any children may need and who will provide this, etc. It is sometimes much easier for parties to focus on arrangements when they are for the future and then when they do happen there is no surprise and no disagreement, particularly when separating itself is difficult enough without having to make these decisions and put them into place. It may be that you’ve simply ‘fallen out of love’ and there is no reason to divorce now, but you wish to make arrangements to sell your home or transfer money whilst you wait until the 2 years have passed for you to divorce based on mutual consent. This can allow couples to keep a strong sense of accord as they and any children they may have get used to the change of circumstances. 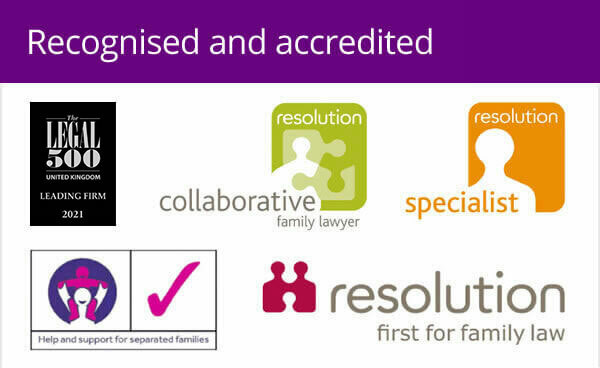 By formalising a separation agreement you will address the important issues around money, property and the welfare and care of your children. In addition you can provide some measure of protection against future claims on any income or capital accrued after your split. For many separation isn’t enough and they simply do not want to wait to get divorced and to put into effect such arrangements. Their circumstances are such that they can rely on the other parties’ adultery or unreasonable behaviour to show the Court that their marriage is over. They can then start divorce proceedings and look to agree the finances without significant delay. Where there is agreement between the couple about the finances and arrangements for any children an order can be drafted and there can be quite a swift conclusion to the divorce allowing the couple to ‘move on’ with their lives. However, issuing divorce proceedings doesn’t mean that a financial solution will be easy and where a couple do not agree over the financial arrangements of where the children will live the divorce may be delayed whilst agreements are reached. At this stage the couple may try to reach agreement through mediation, negotiations through solicitors or, if this fails by making an application to the Court to resolve the issues, each at an increasing cost to you, depending on the level of disagreement. Whether you decide to divorce straight-away or simply separate it is important to think carefully about the legal, financial and child welfare issues that a divorce or separation implies. Ideally a couple will come to mutually agreed arrangements about who lives in the family home, where children will live and how they will be financially supported by both parents. Once an agreement is reached it is important to record that agreement, whether that’s in formal paperwork filed with the courts as part of a divorce or in a separation agreement. 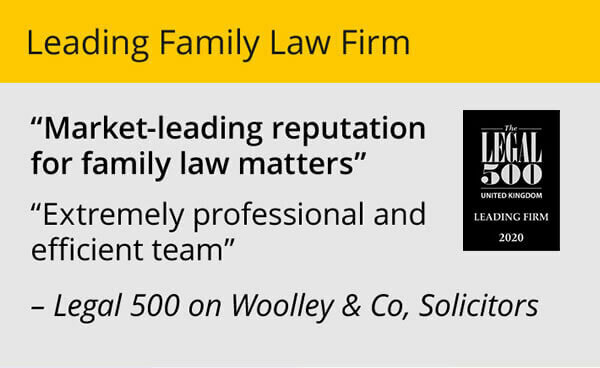 Woolley & Co can help in drafting such agreements as well as providing advice and support to couples trying to reach agreement or applying to the Court for a decision. 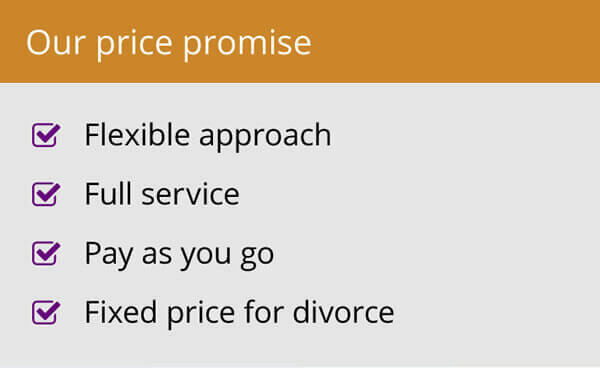 Call Woolley & Co on 0800 321 3832 to discuss the divorce or separation options open to you.